Home/School Links Activity Book for both Junior and Senior Infants. Shadow Book for First Class through to Sixth Class. An extensive Teacher’s Resource Book for each class. User-friendly digital activities for use in the classroom. 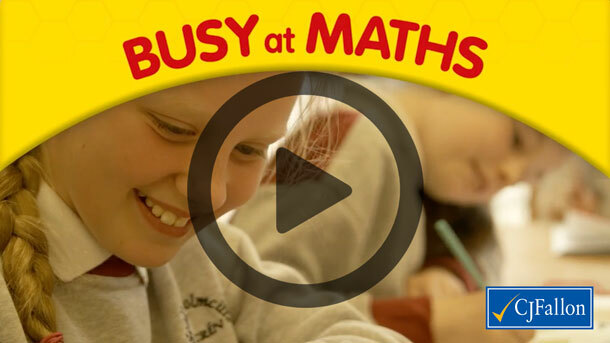 The Busy at Maths Junior Infants pack is the most complete Junior Infant maths programme available. The Busy at Maths Senior Infants pack is the most complete Junior Infant maths programme available. The Busy at Maths Third Class package provides the teacher with all the tools to meet the demands of the Primary Maths Curriculum. The Busy at Maths Fourth Class package provides the teacher with all the tools to meet the demands of the Primary Maths Curriculum. The Busy at Maths Fifth Class package provides the teacher with all the tools to meet the demands of the Primary Maths Curriculum. The Busy at Maths Sixth Class package provides the teacher with all the tools to meet the demands of the Primary Maths Curriculum.